The construction industry has been getting a lot of attention lately due to the many different advances that new technologies has brought to the field. With automation and robotics, many industry-wide changes are expected in the very near future. Most people tend to assume it will take over entirely, replacing millions of jobs across the various industries. Now these opinions aren’t baseless, of course automation and AI will replace jobs. However, it is necessary to look at the advantages that these technologies will provide. One of the major players for new tech in construction is 3D printing. Many different companies have worked on their own versions of using this technology in construction. MIT has continued to work on it’s own version of a 3D construction printer, called the DCP uses a robotic arm that prints 3D structures big enough to live in, made of insulating foam. MIT has been working on the DCP and systems like it since 2011. 3D printing takes many forms, but it is easy to understand that prefabricated homes will provide many advantages; for example: reduced danger on site, increased productivity, and reduced risk of human error. The biggest debate is whether 3D-printed structures should be done on-site or in factories and shipped to be assembled in the final destination. Automation is already more evident in the construction industry than you may think. Excavation and grading is essentially robotic now. Self-driving vehicles are actually already used in large construction projects like mining. 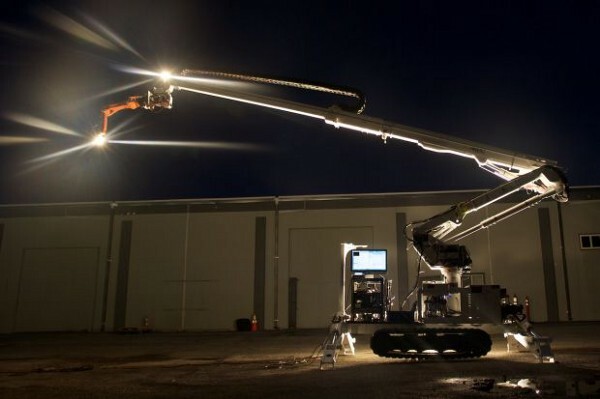 Garnering the most attention in the news lately, is a New York-based company, Construction Robotics, and their robot Sam: the Semi-Automated Mason. Sam works side-by-side with mason for on-site work, increasing productivity. It’s inevitable that old positions will be replaced by tech, but remember that they’re also creating lots of new jobs as well. Many jobs are being adapted to include and enhance the work done by technology. 3D printing and automation are all here to help the construction industry catch up in terms of efficiency and productivity. We’ll all have to get used to it, because they’re here to stay.